Our current production large caliber rifle, the Viper, is available chambered in .50 BMG and is available in left or right hand configuration. 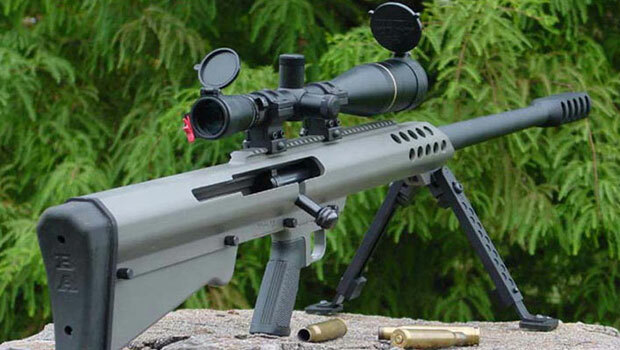 The Moonshiner Rifle is an all new Bull Pup Bolt action, Magazine Fed, Interchangeable Caliber platform Rifle that is chambered in .308 Winchester, .300 Winchester Magnum and 338 Lapua. Our current production large caliber rifle, the Viper, is available chambered in .50BMG and is available in left or right hand configuration. The Viper is manufactured using state of the art Wire EDM machines, CNC Milling and Lathe Systems, which allow us to hold each and every firearm to exacting specifications. Using this innovative technology, we have been able to make major improvements over other large caliber rifles, including a 30 M.O.A. Picatinny style rail milled directly on the receiver (not bolted down), and a gun that features no welded parts or components. The Viper is available in Right or Left Hand versions and the price is the same. 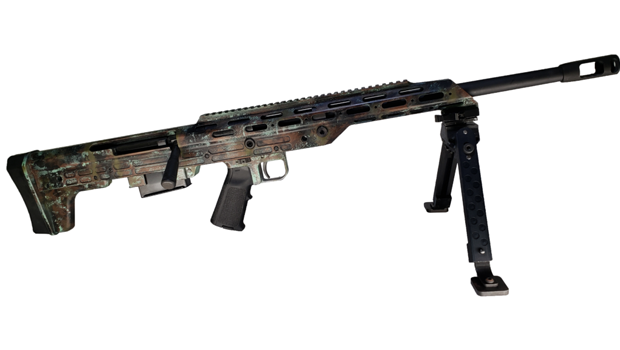 Innovative Technology has allowed the Viper major improvements over other large caliber rifles. In the hands of the right shooter the Viper is easily capable of much less than 1 minute of angle of accuracy.